Woonsocket Head Start Child Development Association, Inc.'s child care component serves approximately 74 children from age 6 weeks through 5 years in full-day, year-round programs at our Highland Park Chidlren's Center. 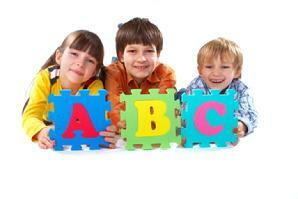 WHSCDA, Inc. provides early care and education for infants, toddlers, and preschool age children. Monday - Friday from 7:00AM to 5:30PM. Click here for our Child Care center locations. the State of RI's child care subsidy program (some may call this Pathways). Children receive a nutritious breakfast, lunch, and snack daily. Mealtime is a great time for learning, exploring, and socializing. All meals are home-cooked on site, are nutritionally balanced, and meet USDA guidelines for young children. Children's favorites include homemade corn muffins, minestrone soup, vegetable lasagna, and "breakfast for lunch"- scrambled eggs and hash browns. For a sample of our monthly menu, click here. We cannot allow food from home because many children suffer from food allergies. Our menus take into account all documented food allergies and special diets. If a child cannot have a certain food being served, due to allergies or religious or personal beliefs, the child is given a substitute. One of the most important goals we share with families is helping children develop appropriate social behavior. Learning to be respectful (kind), responsible (doing the right thing), and resourceful (problem solving) takes time. It is a process. Children must learn how to share, listen, follow directions and be polite. They can only learn these things if caring adults in their life teach them. 1. We have identified specific behavioral expectation for all daily routines. These expectations are taught to children. 2. Rules are stated positively and staff model appropriate behavior. 3. Children are acknowledged for demonstrating acceptable behavior. 5. We encourage children to use their words to solve problems. 6. We involve children in establishing basic classroom rules. 8. We plan a well-balanced schedule which offers children active and quiet activities. 9. We establish consistent routines and set clear limits. 10. We establish strong, nurturing relationships with each child. 11. We match our expectations with children's developing abilities and capabilities. Visit the Center on the Social and Emotional Foundations for Early Learning for more information.